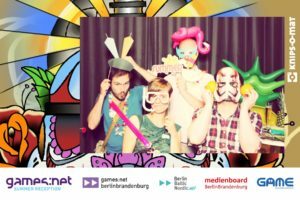 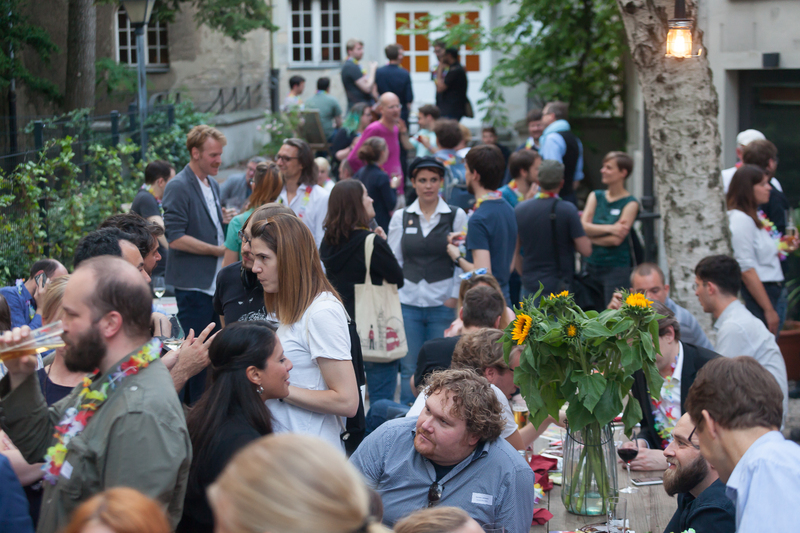 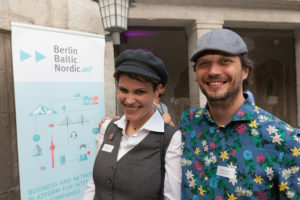 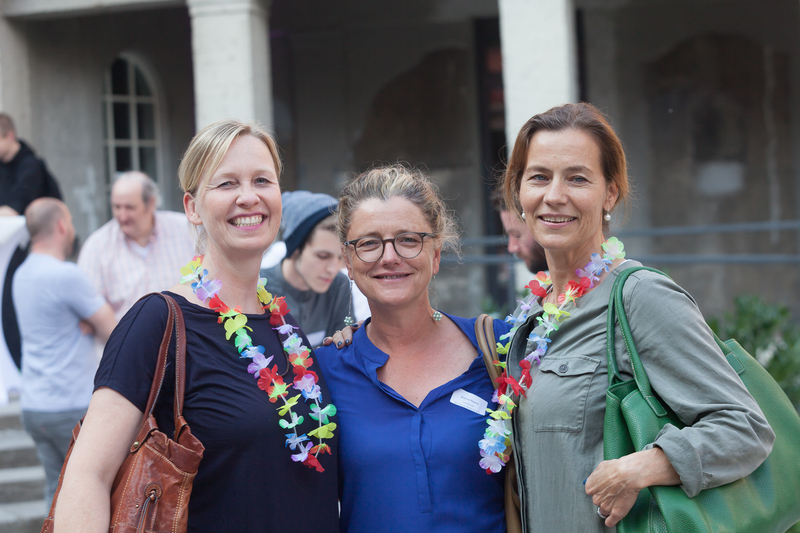 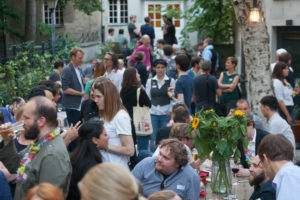 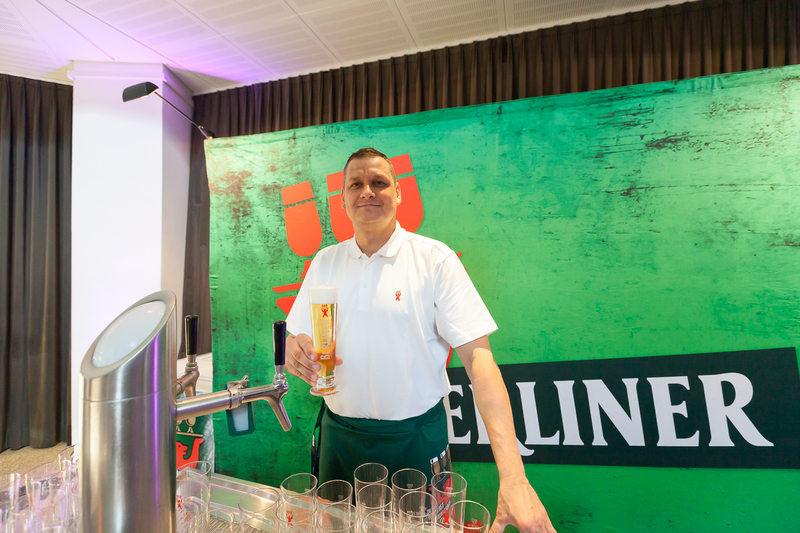 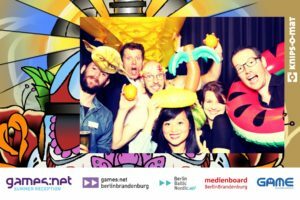 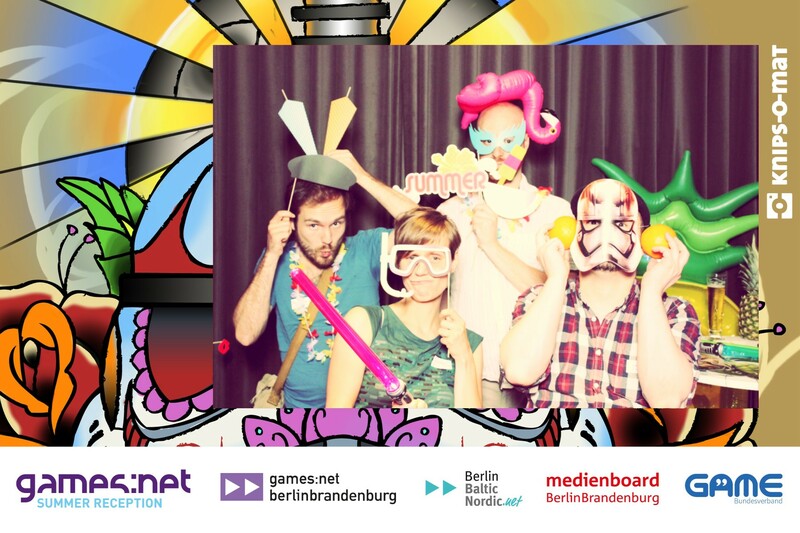 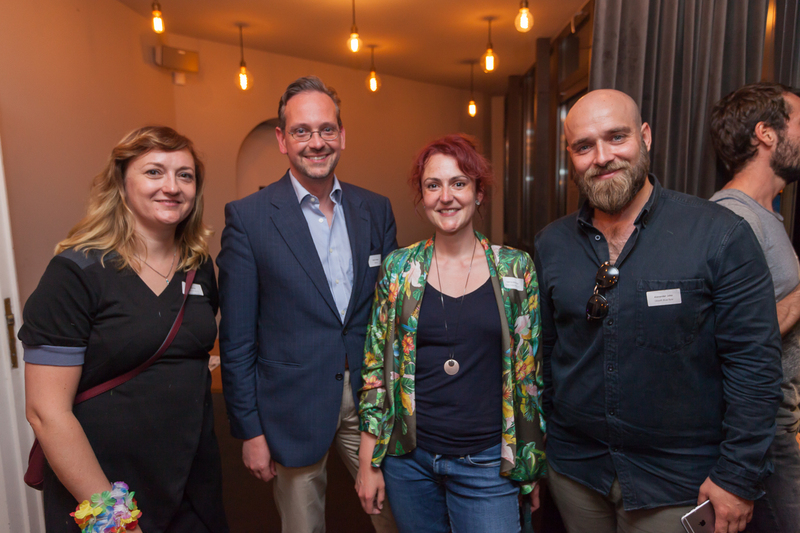 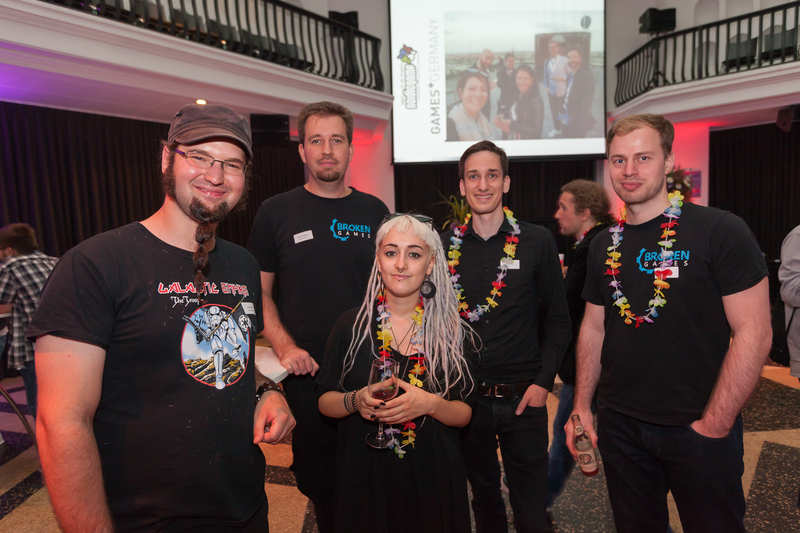 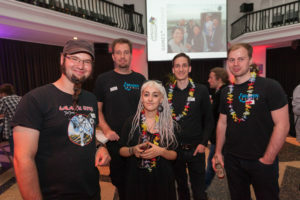 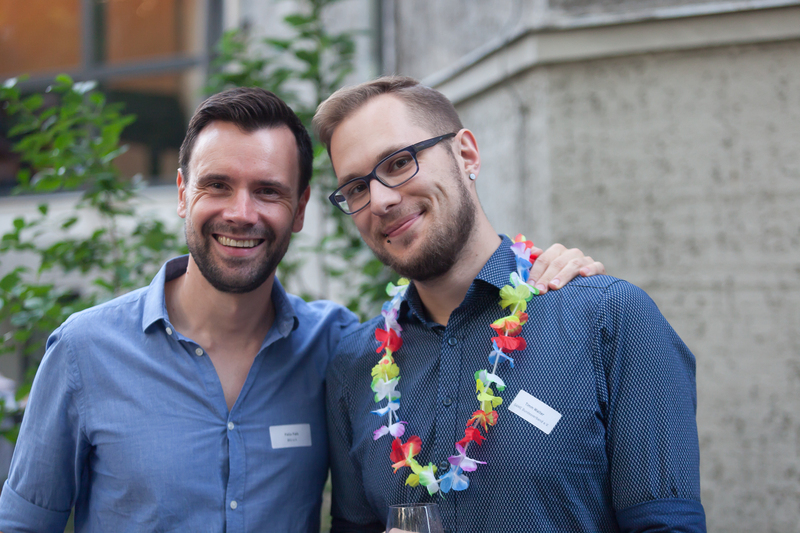 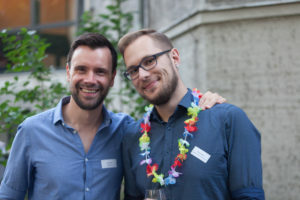 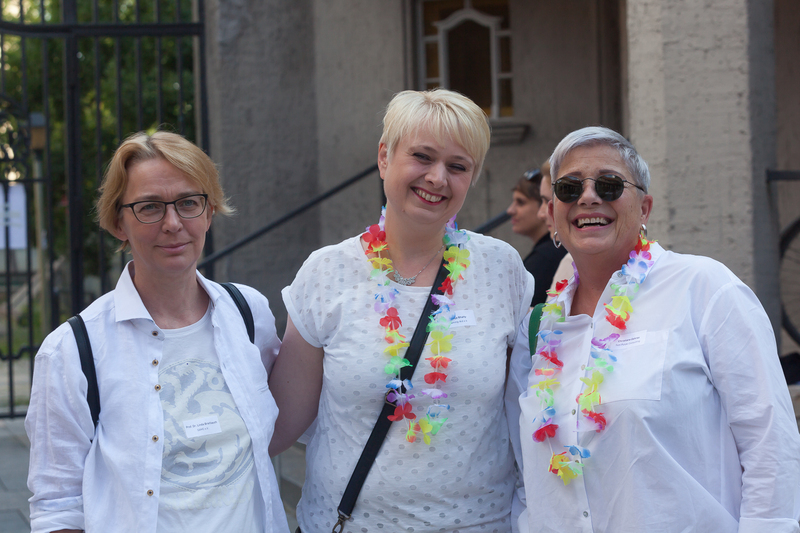 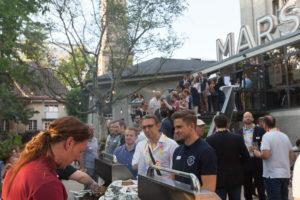 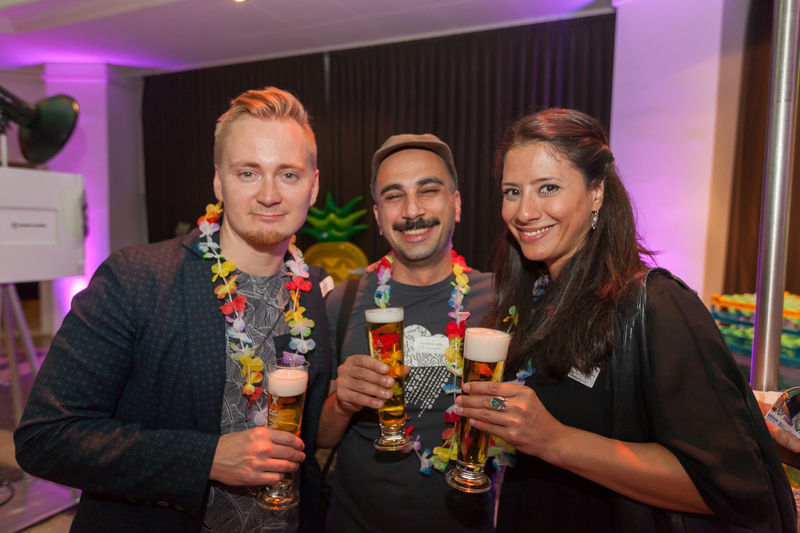 games:net SUMMER RECEPTION | media:net berlinbrandenburg e.V. 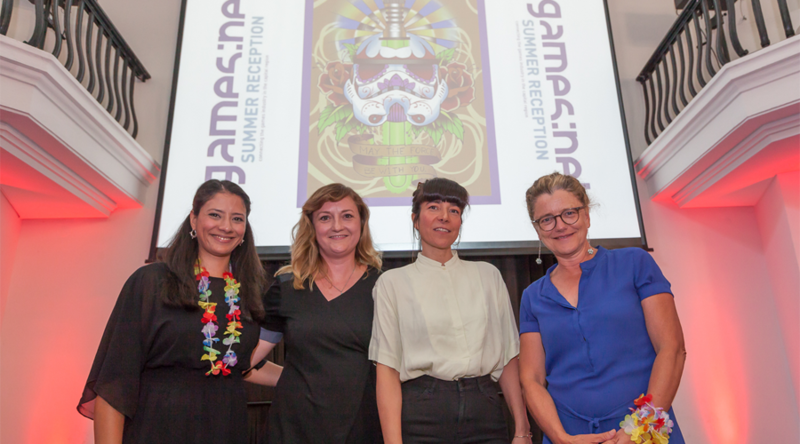 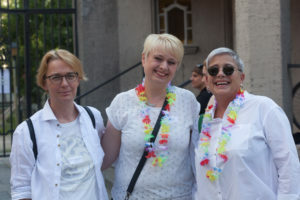 Andrea Peters (media:net berlinbrandenburg), Denise Anh-Dao Beyschlag (games:net Berlin-Brandenburg), Ina Göring (Medienboard Berlin-Brandenburg) and Malak Molavi (GAME Bundesverband e.V.) 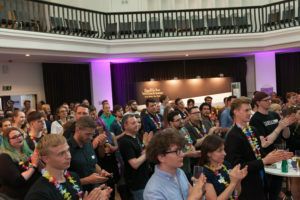 welcomed around 350 guests. 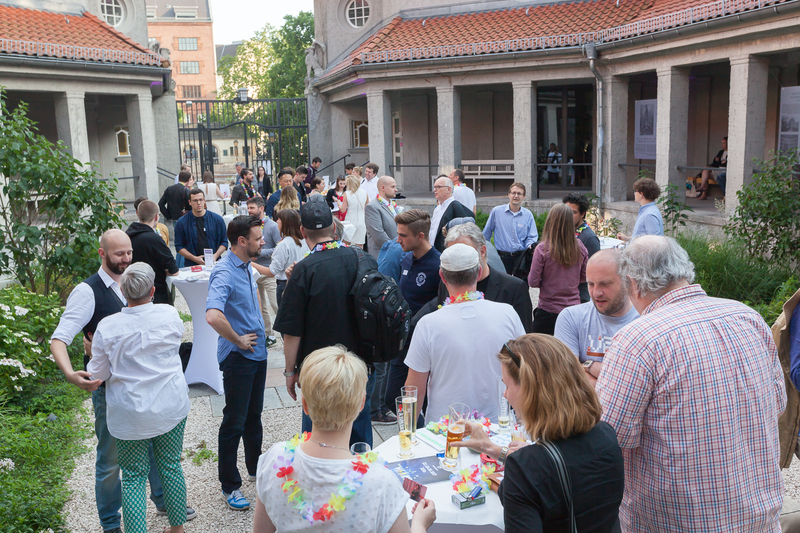 games:net looked back on the first half of the year and forward to the activities coming up next while having drinks, BBQ and ice cream. 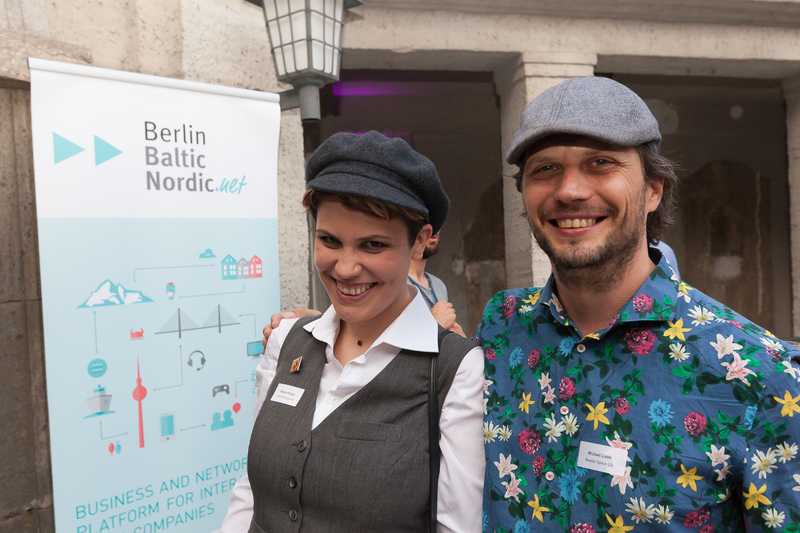 This year the games:net SUMMER RECEPTION took place in the frame of the 48h Berlin Program organized by Rebecca Lautner from the initiative Berlin Baltic Nordic.net. 20 guests from Finland, Poland, Estonia, Ukraine, Lituania, Iceland and Latvia who came to Berlin to spotlight on international exchange around Games & VR. 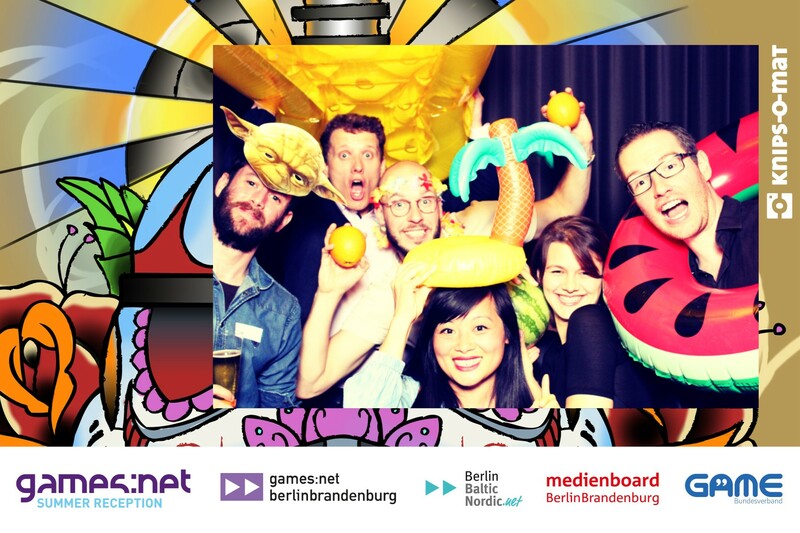 A special thanks to all our games:net Initiative Partners, who enable all our activities: Amazon Appstore, Berlin Partner, Freaks 4U Gaming, GameDuell, Paymentwall and Gamesmarkt. 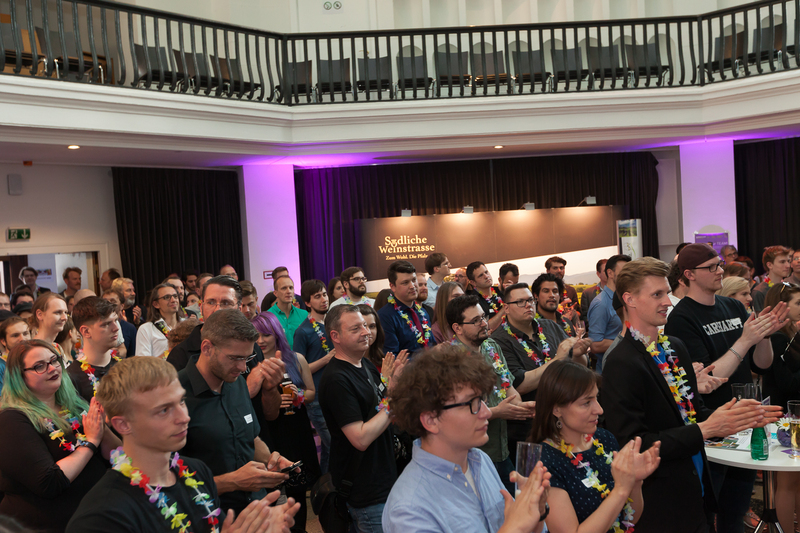 Südliche Weinstrasse, Berliner Pilsener, Evian, Knips-O-Mat, Red Bull, Spotify and zipstrr as our floristina Angela Johne made this evening special by their support.